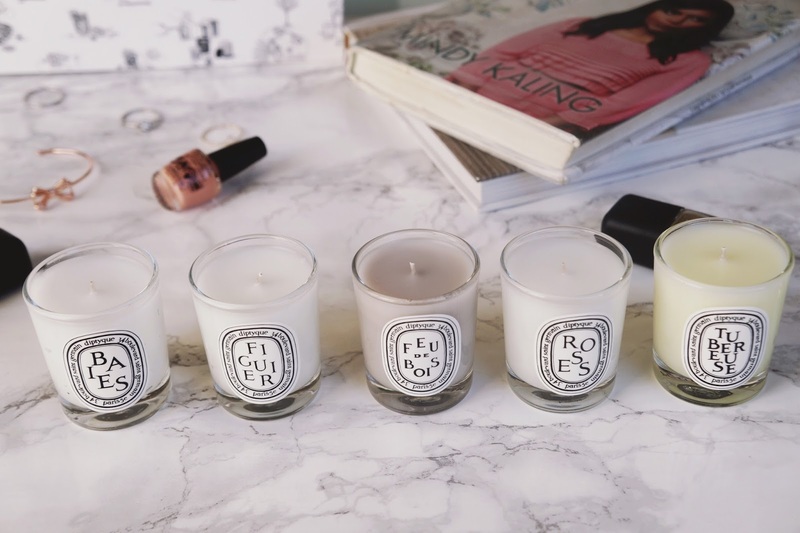 I Spent $55 on Diptyque Candles, But Are They Worth it? 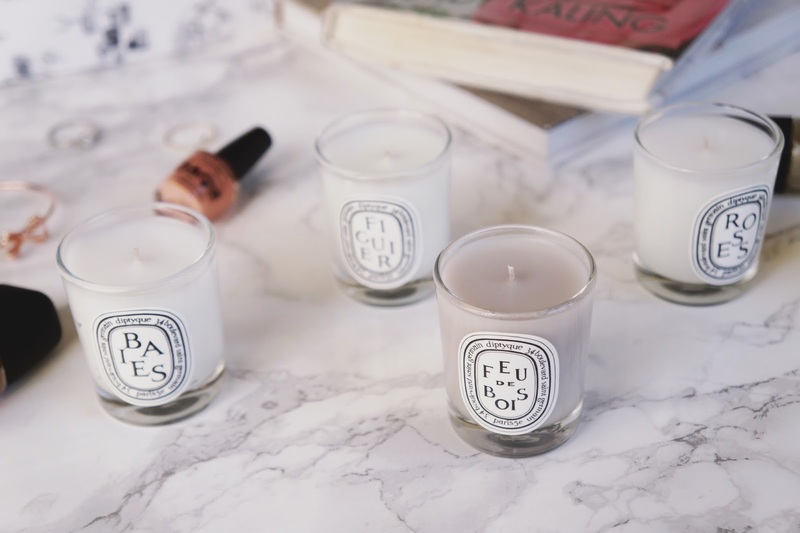 Diptyque candles were high on my radar for years, but I was too frugal to shovel over money when I hadn't even smelled them before. The candles are available in certain stores, but the closest store was an hour away. When someone told me that the Diptyque candle set was discounted for the Nordstrom Sale, I bought them immediately. I was on board for the $55 price tag, which Nordstrom says is normally a $75 value. Plus, I had a Nordstrom gift card to use. The timing couldn't be better! 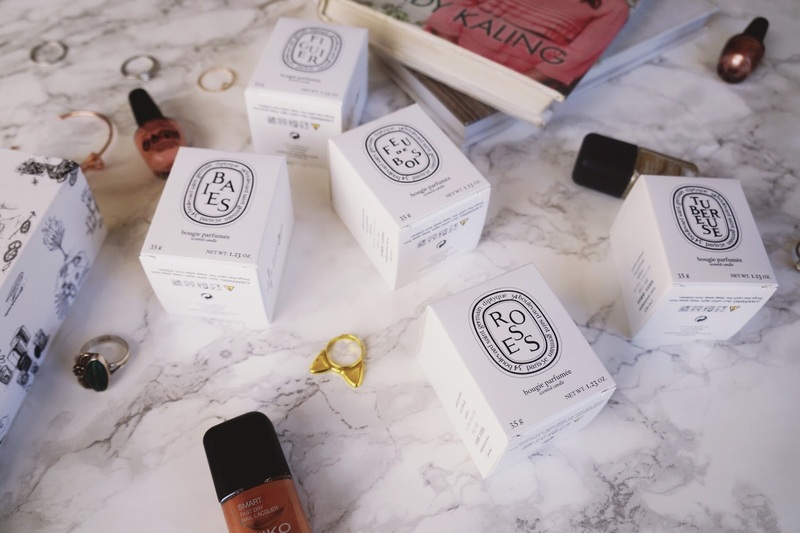 The 5-count set is an excellent way to test Diptyque candles without committing to the bigger, ultimately more expensive sizes. Each candle is 1.23 oz, about the size of a shot glass, so that's $11 per shot glass-sized candle. For reference, a 2.4 oz Diptyque candle retails at $35, & the 6.5 oz candle retails for $65. So, unless you find a Diptyque sale, the $55 Nordstrom Sale price is a fantastic value. The first light is the most important; be sure to keep the candle lit until the wax melts across the entire first layer. This will help you avoid the dreaded tunneling effect or memory ring. Once the ring is formed, it doesn't go away. Always burn until the entire top wax layer is melted. Always trim your wick before relighting. 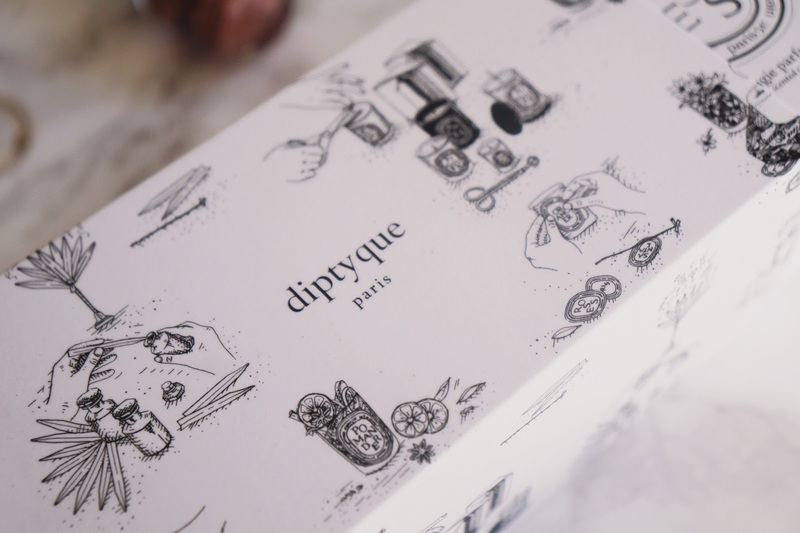 There is no denying that Diptyque is a quality candle brand with powerful ingredients. However, don't expect these little guys to fill a big room. Because the candle surface area is small, there is less wax melting & thus, less scent to be dispersed. If I had gotten a larger candle, I believe there would be more scent emanating throughout the room. The candles smell incredible. When cared for, they burn evenly. The packaging is chic. They last long. They look gorgeous in photos. They make me feel fancy. 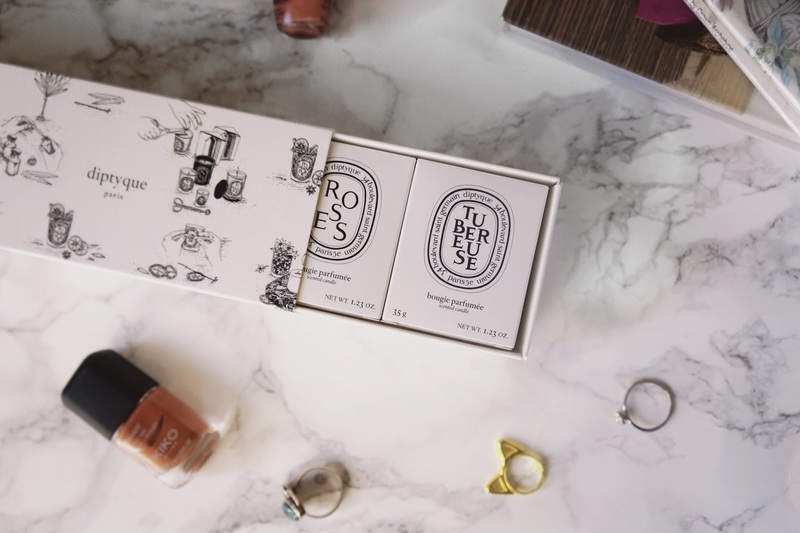 The set makes a thoughtful gift for a candle lover. If you value candles, this is a great value. 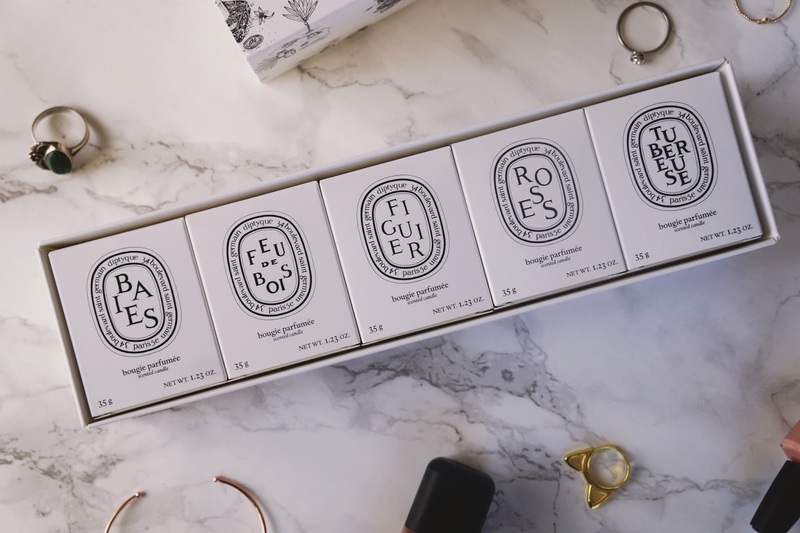 I don't know if I personally would go for these scents but it sounds like a great value in comparison to other Diptyque candles! I see these candles everywhere! Really interested to have a smell. I've been debating for a loooong time whether or not I should give in and buy these candles. But I think I'm going to treat myself soon! These are gorgeous and it's fun to splurge on things like this occasionally! However I think I'd only be thinking about the epic brunch I'd be sacrificing if I bought them haha. Maybe as a gift though! I'm always curious about what makes candles expensive. I think soy candles burn longer? But other than that, I don't know the difference between fancy candles and cheap ones. Help me! I havn't bought one yet, but it is only a matter of time! I love the Ambre the most, but they are all so nice! Diptyque candles smell like heaven! That was a great deal from Nordys. I've always wondered if these candles are worth the money. They're so pretty!! 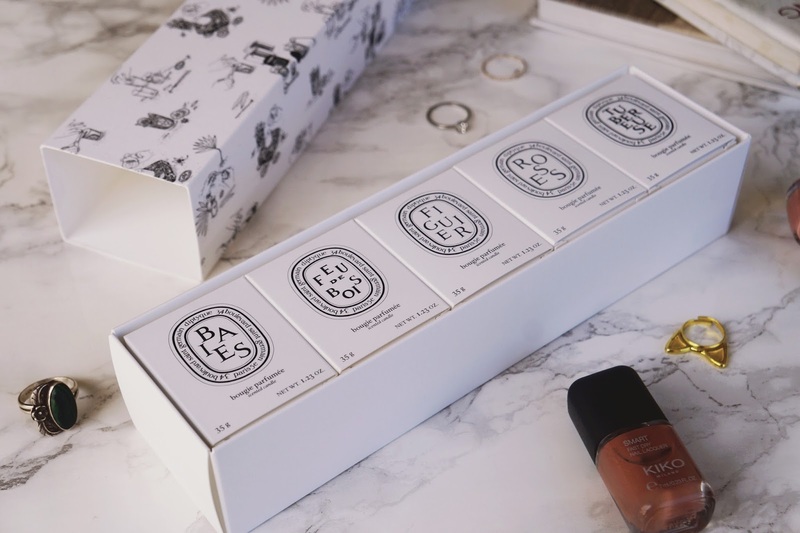 For me diptyque candles have always been a little too expensive for me to purchase myself (especially because I'm saving at the moment) but I mean, I wouldn't be opposed to receiving one as a gift! 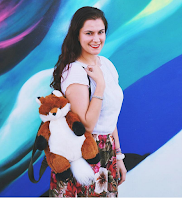 I think I've just seen them around so much on blogs and Youtube that I'd love to actually try one for myself one day. Definitely. 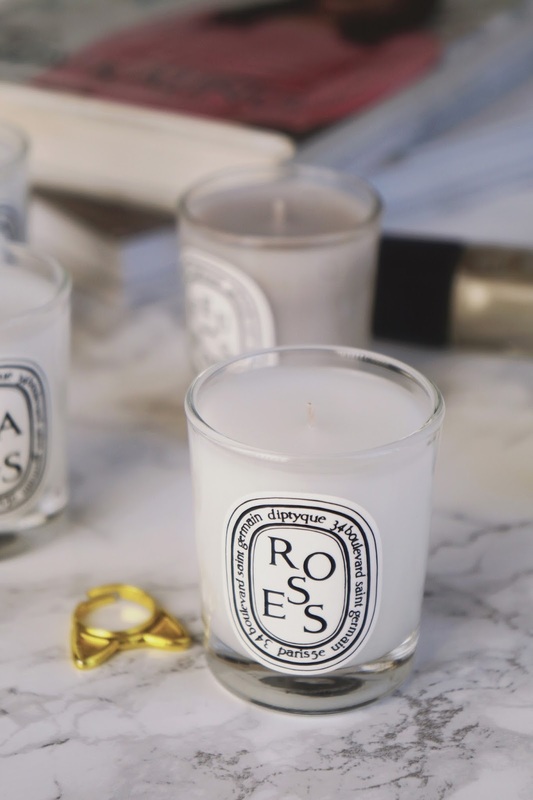 Do you have a favorite candle brand?